Kevin Papula had a nice niche in life -- IT director of a company with 300 employees. 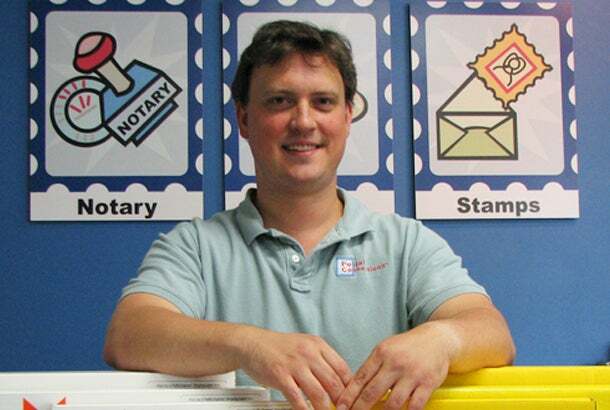 But the desire to start his own business prevailed, and he chose both franchising and Postal Connections. "I’m a born leader, and I like to make the decisions that matter. I like having control," he says. "With no office politics or useless corporate bureaucracy, things move very fast." Papula also had some other things going for him: solid savings, a family chockful of small businesspeople to give advice and the patience needed to hold out for success. This last point was important: Papula had to supplement his franchise income for several years and put in dedicated labor. But what he calls his "work ethic" helped: Eventually his business took off, and he hasn't looked back. Franchise owned: Postal Connections, in Mechanicsburg, Pennsylvania, near Harrisburg. Six years this coming January. The ideas and processes are already established, the training is included and comprehensive and the network and camaraderie are jumpstarted. I was the IT director for a company of 300 employees. It was the right fit at the right time. My dream had changed from a good day job to business ownership. I had been diligent about saving money, so all the components were falling into place -- plus, I come from a family of small business owners so the advice was plentiful and easy to acquire. I spent $15,000 for the franchise fee, $100,000 for the business purchase and $25,000 for marketing materials and signage -- $140,000, total. I got most of my advice from family (there are many small business owners in my immediate and extended family -- I have it in the blood!) I used the Internet like none other to identify the market and assist me with building my business plan. I called many franchise owners in the Postal Connections system and the competition (UPS Store, independent “mailbox store” owners and others) with a list of questions and compared answers and crunched the numbers. For me, it was the work that is involved to make the business run in a financially viable way. In the beginning, work was slow, so I supplemented my income with a few other ventures. However, in time, the systems and processes set in place by Postal Connections began to mesh with my work ethic; and, now, after five years, I don’t have time for anything else! I love the freedom it gave me. I’m a born leader, and I like to make the decisions that matter. I like having control. With no office politics or useless corporate bureaucracy, things move very fast. There’s nothing stopping you from turning your dreams into realities. But it doesn’t come easy -- you’re putting in tons of hours, but it’s all worth it. I love the options afforded to me by franchising. Right now I am squeezing all the possible potential out of this business through proper marketing and accounting. This is after I streamlined operations, then built my customer base through networking and sales. I’ve learned so much in this endeavor, and I love it! What’s next? More growing, more learning and, hopefully, more success. I am looking into how to apply my interest and knowledge of 3D printing to this business, and others.